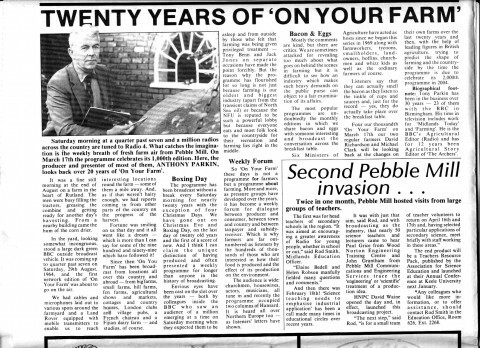 This cutting is from a Pebble Mill newsletter from 1984. 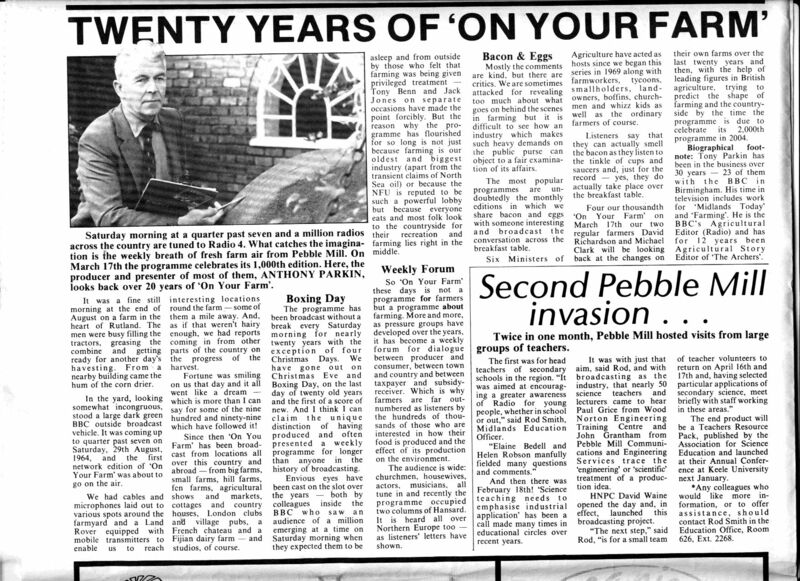 The article commemorates the 1,000th edition of On Your Farm, the Saturday morning Radio 4 programme, produced and presented by Tony Parkin. Tony had a long career at Pebble Mill which included working on Midlands Today, and Farming as well as being the agricultural editor on The Archers. Thanks to Robin Sunderland for sharing the newsletter. I also came across Tony in providing circuits for the programme in the Control Room at Broad Street, and later the Communications Centre at Pebble Mill. He invented his a rule of “the problems are inversely proportional to distance”, which worked like this: If there were say, three live inserts to the programme for example Nottingham, Edinburgh and Brussels, it was always the shortest i.e. Nottingham in this case, which failed. He was ever right.